This vending company operates out of a 2,350 square foot warehouse with an attached 450 square foot office. Also included are 74 vending machines and over 900 honor boxes. The seller owns the building sitting on 2.23 acres and will give the buyer a long-term lease, sell the building and land to a new owner, or allow the buyer to relocate. 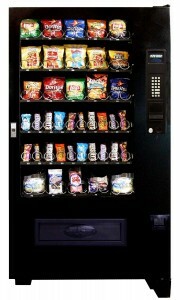 Established Perishables Vending Company for sale. This company includes a mix of honor box locations and traditional vending machines. The business is run by the owner operator and 3 part-time employees. There are 12 existing routes servicing over 700 locations. Eight (8) routes are run once every 2 weeks and four (4) every 3 weeks. The majority of the locations have been in place for a long time and there exists great growth opportunity. This entry was posted on June 23, 2015 by Mac Thelen.